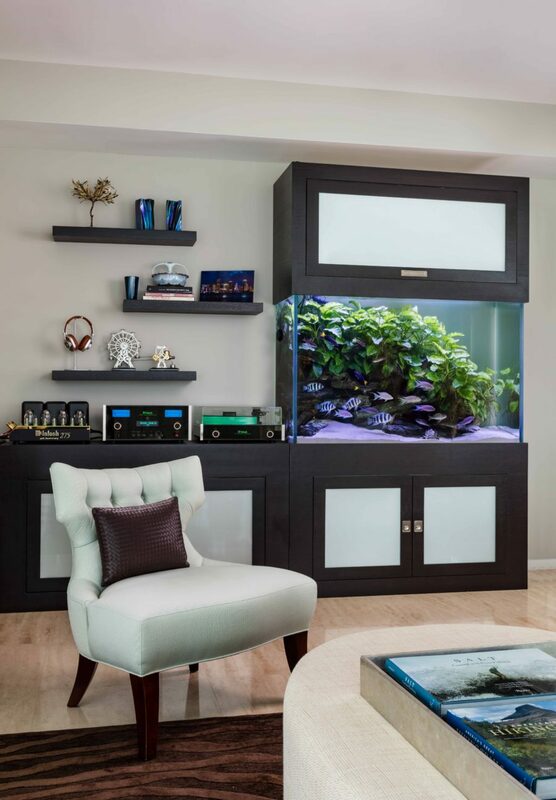 357 Gallon Planted African Cichlid Aquarium - REEF AQUARIA DESIGNREEF AQUARIA DESIGN | Every great room deserves a great aquarium. 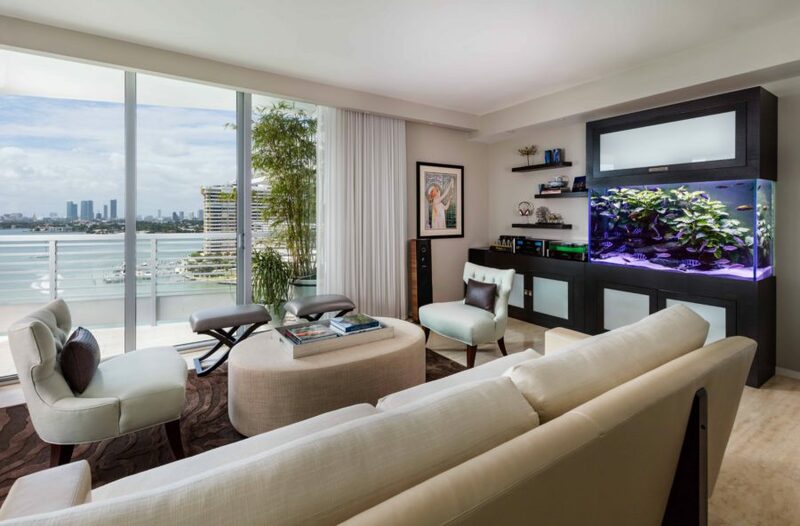 Freshwater on the bay, yet in the heart of Miami Beach. 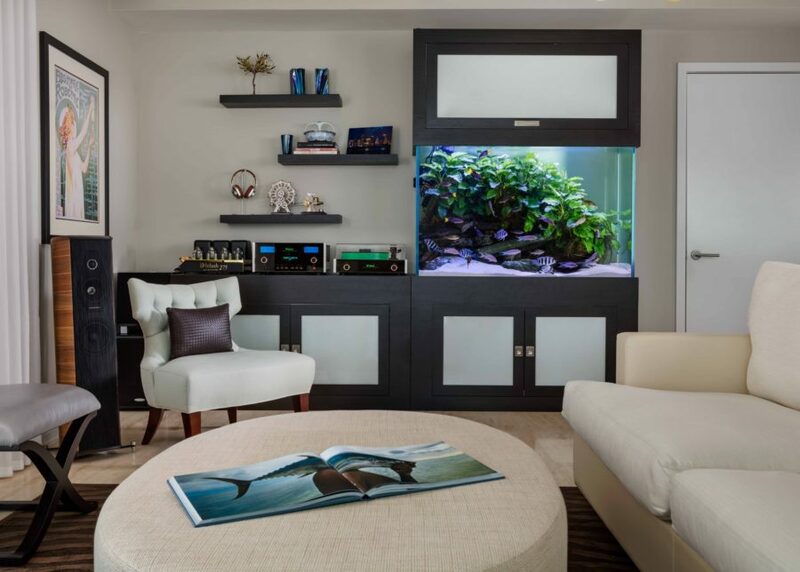 This 82″ x 28″ x 36″ rare planted Tanganyikan and Peacock Cichlid aquarium brings an East African lake valley into the living room of a South Floridian condo.